Several county firefighters saw the post and contacted local Pittsburgh television station Channel 11, which first reported the story. 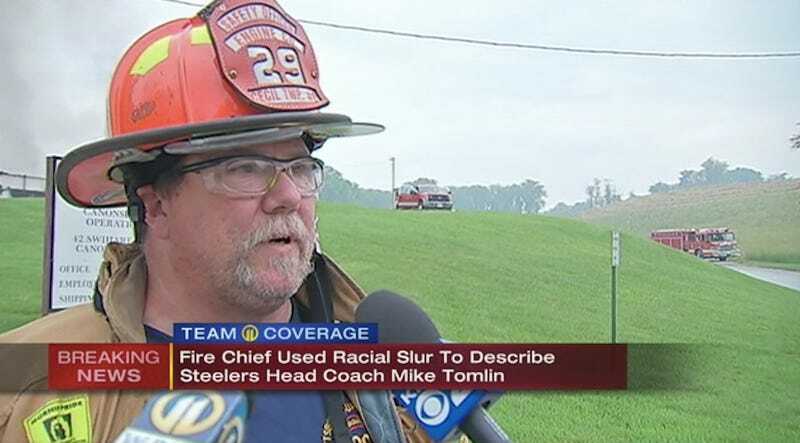 As Smith is the type of guy who uses the n-word (without compunction and on a public platform), he likely would’ve had a problem with Tomlin no matter what the Steelers did during the national anthem. That Tomlin effectively erased his players’ opportunity to exercise their right to protest during the anthem by forcing them to stay in the locker room in the name of “unity” was clearly far too much for Smith to consider.